Having to move out of a family home that is filled with a lifetime of memories can be an upsetting experience for anyone. Leaving behind all that is familiar during the later stages of life is especially disruptive and traumatic, which is why many of the elderly are choosing to remain in their homes despite the hardships that this may entail. Maintaining a property, particularly in the current economic climate, is a challenge for most. For the elderly who have a limited income and no longer have the physical capacity to undertake DIY projects it is twice as challenging when repairs become necessary. It can prove to be an overwhelming and extremely stressful situation that may lead to health problems, or exacerbate existing ill health and frailty. There are, however, options for the elderly to consider that will make remaining in their homes a viable proposition. Age UK is a charitable organisation that came about by the merging of Age Concern and Help the Aged; two charities dedicated to assisting the elderly. Through this merger came the Gifted Housing Service, which endeavours to keep the elderly in their homes by providing them with the means to do so. It targets those who have no other support system on which to rely and do not have the financial or physical resources for the upkeep of their property. For many this has been a welcome lifeline, which has lead to a greater quality of life due to most of the stresses and responsibilities of everyday living being removed. Help the Aged first initiated the Gifted Housing Service over 35 years ago and has been instrumental in allowing a large number of elderly to remain in their own homes, while enjoying a support system that they otherwise would not have had. Age UK is committed to helping many others in England and Wales to enjoy the same level of care and independence. Elderly persons who are struggling with the upkeep of a property and wish to be freed of the burden may gift that property to the Age UK charity in exchange for certain considerations. Properties must be freehold or long leasehold and mobile homes are not accepted. The charity will conduct an in-depth discussion with potential donors regarding all aspects of the scheme and ensure that these are clearly understood. Once agreement is reached Age UK will tailor-make a benefits package to suit the needs and concerns as outlined by the donors. This will include the safety and general well-being of the individuals. The decision to gift a property should not be taken lightly, as the disposal of a major asset may have considerable personal ramifications at a later stage. Once an agreement has been signed it is binding and can only be altered if both parties are in agreement. Age UK strongly urges any who are considering the option to seek professional advice on the advantages and disadvantages of the scheme before committing to it, you can also read Ageuk’s FAQ page. Once the decision has been made legal documents will be drawn transferring the property to the charity. Elderly donors retain the right to remain on the property for as long as they wish to. Donors will be assigned a care coordinator who will make an appointment to visit at least four times annually, but more frequently if deemed necessary. The coordinator will generally assess the changing needs of the donors, as well as the condition of the property and have these attended to. If their assistance is requested, then a coordinator will also arrange for home care and offer support during illness or bereavement. They will also, on request, liaise with social and health services and assist with the continued receipt of welfare benefits. Their involvement will only be to the extent that the elderly wish it to be and will never become intrusive. One of the greatest benefits of the Gifted Housing scheme is that donors have far more financial freedom and are able to spend their income on more pleasurable pursuits than house repairs. Building insurance, council tax and water rates will now also be the responsibility of Age UK. With regard to the maintenance of the property, the charity will assume an extensive range of responsibilities. All structural repairs, internal and external, as well as general repairs to the property will be undertaken. Decoration to the outside of the property will be done as and when the need arises and a contribution will be made for the upkeep of the grounds. Internally, heating and hot water systems will be adequately maintained and replaced if found to be faulty. 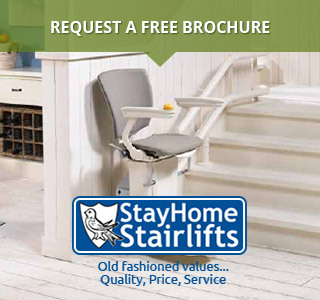 If considered necessary, adaptations to a home such as a stair lift or the installation of a ramp will be undertaken. Age UK will be committed to ensuring that residents feel safe and should an emergency alarm system or other safety measures be requested or needed, these will be installed. If home care becomes necessary, the charity will contribute towards the costs incurred, including those of residential care should this be the safest option. The Gifted Housing Service is available to singles or couples in England or Wales who are owner occupiers of a freehold or leasehold property. Couples do not necessarily have to be married and can be in a civil partnership, living with a friend, a sibling, or a partner. Age UK puts no age limit on participants of the scheme. However, a condition exists that excludes properties against which there is a mortgage, a loan, or an equity release unless its value is minor in relation to the value of the property. Equity release schemes are another option available to elderly homeowners in need of a cash injection, but as with the Gifted Housing Service it requires much thought and certainly some sound financial and legal advice. Equity release is a means for older homeowners to obtain monies against the equity they hold in their properties without needing to vacate or sell their home and without having to make monthly mortgage payments. The amount raised will generally depend on the value of the property and the age of the applicant. There are, however, many aspects to consider before choosing this route, one of which is the continued validity of any means-tested benefits that are currently being allowed. Another is the interest that will accrue, as the debt will only be recovered upon the death of the borrower, or in the event that they are taken into long-term care. Interest on an equity release can be quite staggering if the borrower should live for 15 years or more, which is why the ‘drawdown’ option is the more popular. In this scenario an amount will be made available on which the elderly may draw as and when it is needed. Interest will then only accrue on the actual amount released. Fees charged on the scheme run to around £1,500, which does not include any fee charged for financial advice and this too should be taken into account when considering equity release. Another, less popular, option of equity release schemes is the home reversion scheme. With the home reversion option a home is sold in total or in part in exchange for a lump sum or an agreed regular payment, as well as living rights. At the time that the property is sold the percentage payout to an owner or their estate will be equivalent to the unsold percentage. Both of these options are regulated by the Financial Services Authority. Should elderly homeowners choose to go with an offer from the Equity Release Council, they will be protected by a ‘no negative equity guarantee’, which means that no customer will ever end up owing more than the value of a property. Potential customers need to review all of their available options before committing to an equity release scheme. Taking in a lodger may solve a money crisis, or there may be other avenues left unexplored and the elderly should investigate every available means at their disposal before turning over all or part of their property to others. Local authorities may be approached to ascertain whether an elderly person or couple are eligible for further assistance, or state benefits that may make a difference. If you’re facing a pension shortfall, need to meet an unexpected expense or want to fund a retirement treat, equity release is undeniably attractive. If you own your own home and are 55 or over, equity release could provide you with a lump sum, additional income or maybe both. Equity release schemes enable older homeowners to tap into the value of their property without the need to sell up and move out. Stepchange.org – Equity release, The right advice for you. With our free whole of market advice, if you’re a homeowner aged 55 or over, you could consider using equity release to unlock money from your home while you still live there. Age Uk’s Gifted Housing scheme is one way to make things easier for you when considering retirement housing options. Whether elderly homeowners opt for the Gifted Housing Service or an equity release scheme, they must be aware that they will no longer have total control of their property. They are options most suitable for those who have no close relatives or other means of support on which to rely, which assumes that there are no apparent heirs to consider. In such cases it seems that the Gifted Housing Service provides far more benefits than the equity release scheme, which does not make provision for the elderly homeowners care or individual needs. Once again and in both instances, it must be emphasised that professional advice should be sought before committing to either course of action.